There seems to be some confusion about what the international definition of poverty actually means. The Millennium Development Goal is to halve, between 1990 and 2015, the number proportion of people living in extreme poverty. 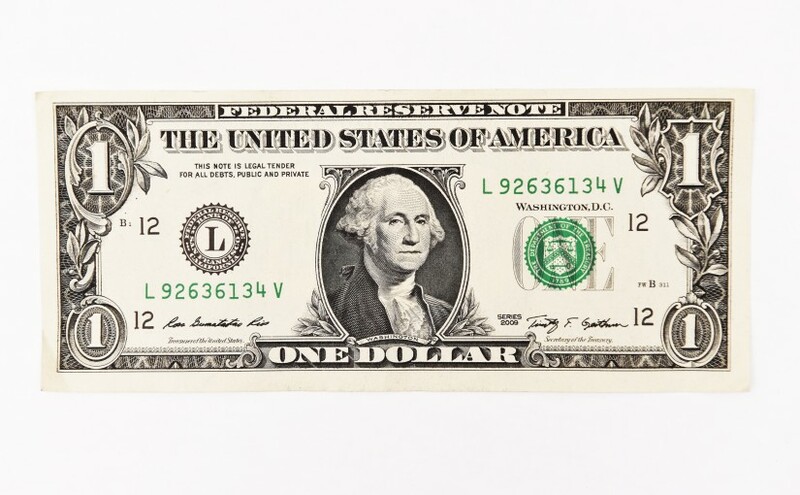 The poverty line was originally defined as living on $1.08 a day (usually referred to as ‘dollar a day’ poverty). In 2008 it was recalibrated to $1.25 a day. About 1.4 billion people live below this poverty line: that’s about a quarter of the people in developing countries. If you have traveled in a developing country, you may have noticed that some things seem really cheap. Perhaps that bus journey only cost you 10 cents, or you remember buying beer for 30 cents. It is easy to assume that the reason people can survive on a dollar a day is that a dollar goes further in developing countries. Apologies for being the bearer of bad tidings, but if that is what you thought you need to know that the poverty line is measured at purchasing power parity (PPP). What does that little piece of jargon mean? It means that the calculations take account of this difference in prices. When we say that a quarter of the people in the developing world are living on less than $1.25 a day, we mean that they are living on the equivalent of what $1.25 would buy you in America. Not what it would buy you in Mali. Look at this video made by the World Food Program showing how much food you can buy with $1, which in the video they say is worth 16 Ethiopian Birr. (That’s the current official exchange rate). The point of the video is to show that that it is very difficult to buy a day’s food with 16 Ethiopian Birr. So if 16 birr doesn’t buy you very much, how can people possibly survive on the equivalent of 4 birr a day? Part of the answer is that the WFP video also distorts things in the other direction by buying food at a shop in Addis Ababa. Prices are much higher in Addis and you’d get a lot more food for your money in rural areas. (Unless my ears are deceiving me, the video also slightly exaggerates the cost of food in Addis: the shopkeeper tells him that the potatoes are 6 birr, which he apparently mishears as 12 birr.) But even in rural areas you’d still end up with less food for 4 birr than is shown in this video. I’m sorry to single out the WFP (though they should know better). As I found out when I mentioned this on Twitter, a lot of people haven’t realized that poverty is measured at purchasing power parity. The world’s poor are possibly poorer than you imagined. A family of 5 would count as five individual dollars a day. (i.e. they’d be deemed poor if their combined consumption was less than 6.25 PPP adjusted dollars a day). This differs somewhat from how poverty is measured in developed countries where equivalence tables are often used to account for the economies of scale in consumption that being in a family can provide. The $1.25 line is incredibly low. It’s worth measuring, because people do actually live in such acute poverty. But no one should ever make the mistake of thinking that, once someone’s over the line (or its $2 equivalent), they’re no longer in poverty. Where possible the World Bank uses consumption data rather than income data, which means that their poverty figures (to some extent) take into account subsistence income. (I say this because another poverty myth – along with the ‘food’s cheaper in developing countries’ myth – is the ‘oh they mightn’t earn that much but they live of the land’ myth. Having spent a few days in Addis this year, and tried out a local market, your report is very interesting. I think that, as a psychologist, I would like to approach it in terms of levels of need. A basic need is to eat to survive. Mostly markets price down to that level, or they cease to exist and people starve. So whatever the level of income, if there is food around it gets priced accordingly. It is evolution of sustainable systems. More important is the issue of choice and freedom to act. If prices are regulated by that lowest end of the market the one thing is takes away, the one thing that is most debilitating, is choice. You don’t have the choice to save, the choice to prefer one thing over another, the choice to feel you count in the buying process. So a step beyond true poverty is the step that gives you choice. This is why the Grameen Bank is so good. This is why community initiatives are so good. They offer something that basic World Bank/IMF/Charity organisations don’t they offer choice. I think there is growing awareness of this, but it has to be the target, otherwise the system stops people from starving but stops them getting out of poverty too. May I say I found the people of Ethiopia that I met far from being impoverished, even though many were earning only the actual $1 a day. And if anyone goes there I would suggest they stay at the Harmony Hotel! You are correct that the WB intends to capture the purchasing power in local currency that is equivalent to 2005 US dollars. But its method for doing so is highly suspect. Briefly, the method of PPP conversion is sensitive to the prices of all goods consumed in the economy, not simply those largely consumed by the poor. This creates two problems: one of weighting prices in the basket of ‘converted’ goods, and the other of selecting prices that are in that basket. As you correctly note prices vary widely within a country. Sometimes poor people will face lower prices, as you mention, but sometimes higher prices–because they cannot by in bulk, have worse market information, and sometimes limited alternatives. The Bank’s method of conversion is also highly sensitive to the base year. Changing from 2005 to some other base year greatly changes global poverty estimates, both in terms of extent and distribution. The Bank is currently working on an effort to create PPPPs, purchasing power parity for the poor, but the method for doing so at this point is not determined. A lot of work done by Pogge and Reddy, as well as a number of others, nicely summarizes these flaws. Some of these papers are available at http://www.socialanalysis.org. Thanks for highlighting this – it’s great to see this level of engagement and debate about the issue of purchasing power and its impact on food security for families living in developing countries. Your point is of course extremely valid, but it would be a shame if it detracted from our goal on wfp.org, which was to illustrate the extent to which rising food prices are making it increasingly difficult for hungry families to put food on the table. You’ll appreciate that for a website we had to approach this in an accessible way that would really bring home to our readers the extent to which even a small increase in the price of meat, can really affect the lives of families who spend more than 50 percent of their income on food. As we continue this series around the world, we will take your point into consideration, and in the spirit of friendly advice about how easy it is to “get sums wrong,” please note that MDG 1 sets out to reduce the “proportion” of people living in extreme poverty, and not the “number” as stated in your blog post. Owen adds: Excellent correction about ‘number’ vs ‘proportion’. Thanks for picking that up. I do appreciate your efforts to bring home the effects of rising food prices, but would appreciate them even more if they helped people to understand what the international poverty measures actually mean. However, to say the truth I am tired of people still disputing about poverty measures around the world while people are actually suffering on the ground. How long are we going to continue with it rather than focusing on the real causes and solutions? First, to get 16 birr per day is very difficult for most Ethiopians. People who graduated from a university and work for the public sector used to earn less than 40-birr a day until last year. In addition, those people you found them doing well even if they are actually reining 16 birr per day must have another means of survival such as family. As in the case of most developing countries, what matters is not how much each individual earns but what the family and social networks contribute. Therefore, it is common in Ethiopia to find average people with age greater than 30 years living with their mother and father even if they are working. Interesting comments all. Number one: I agree with the comment that we must engage the process while the debate goes on and have a question on which I would value your opinions. Also, the effect of corruption is an x factor that often creeps in. When means have come to an economy, there are those who skim or profiteer. Any thoughts on how to eliminate this factor? I totally understand about the family thing, yes, someone I talked to earning $1 a day was looking after his disabled elderly parents at home. What family and community bring is just a bit more opportunity to have that freedom of choice. If you have 5 separate $1 budgets your choice will be very limited but if you have one $5 budget there may be just a small amount of choice. TO Greg I am wondering if we/you have the equation right. No disrespect, I am wondering not knowing. And I am wondering if the problem is not food prices but overall volume of supply. If there is not enough to go round no amount of price adjustment will change that. In fact higher prices lead to more crop growing. This is effected even within one season in the UK. My own thinking is that a smarter economic system is needed which rewards crop growing right down to the local level (so free food never removes income from local growers), which allows for supplementary food supply when needed for good health without disrupting local labour costs (up or down) and one which promotes sustainable personal and business income growth. If we do not start with the belief that this is possible then we will remain stuck with an economic system which seems destined to maintain massive differential wealth and health. Thanks, Owen, I really wish this post was published last summer, when I tried to give an ad hoc definition of PPP in class and totally butchered it. I’m aware that potentially the correct response to what I am about to write is still: the poor are poorer than you imagine. But …. millions of people live on under $1.25 ppp dollars a day. What are the material conditions of these people like? Are they always on verge of starvation, without remotely adequate clothing, shelter, etc.? I ask because I still struggle to take this literally – that people are really living on the equivalent of what $1.25 would buy you in America, because I’m pretty sure that if I was living on $1.25 a day in America, I’d die pretty soon. I mean I’d have nowhere to live, I wouldn’t come close to feeding myself adequately, I’d be dressed in rags, etc. But I was not under the impression that the millions living on under $1.25 in poor countries were as utterly impoverished as I imagine I’d be, living on that money in America. I have no direct experience of what I am talking about, and am very ready to be told where my uninformed guesses are wrong, but I’ve watched documentaries about those living in shanty towns or in rural poverty, read some research (Live of the Poor etc.) and without wanting to minimise the hardships faced by these people, they were not starving, dressed in rags etc. and had very basic household equipment, more than I imagine $1.25 per day would buy me in the USA. Presumably the right “thought experiment” is to think about living on $1.25 per day in the USA whilst unable to access charity, soup kitchens, hostels, clothing hand-outs, free medical treatment etc. that a homeless person in a rich country can access, on the basis that the millions living on $1.25 per day in poor countries cannot access so many free goods and services. To restrict the comparison to how you could live in the USA if you could not use anything you cannot purchase with your $1.25. Is that right? So I think something doesn’t add up. What is it? Is it that most of those living on $1.25 a day are also subsistence farmers, build their own homes, and take water from some free (at leat in monetary terms) water source, so exist in great part on home production outside the monetary economy? Or do those living on $1.25 per day have access to some free services? Or are the PPP calculations questionable? I guess a more succinct way of making my point is that if you look at the consumption basket of somebody on $1.25 a day in a poor country (looking at, for example, Duflo and Banerjee’s work), I don’t think I could replicate that on $1.25 in the USA. Yet isn’t that what PPP adjusted data is supposed to do? Insightful. $1 does stretch further in rural villages with one exception… Energy costs increase per unit with families spending $0.30 for 4 hours of kerosene lighting and $0.25 to charge their phone. At $1 / day, energy approaches a 1/3rd of daily spending. To manage expenses, these families often shut off phones and go to bed when it gets dark. Excellent post I came across while searching for the root-cause of global poverty. I am lost while understanding what could be the causes of such world wide poverty passing on from generation to generation. Please recommend me some good reading material as I am totally new in understanding this phenomena. Pingback: understanding numbers: lesson #1 « Figure. It out. Previous Previous post: Should we pay less for vaccines?